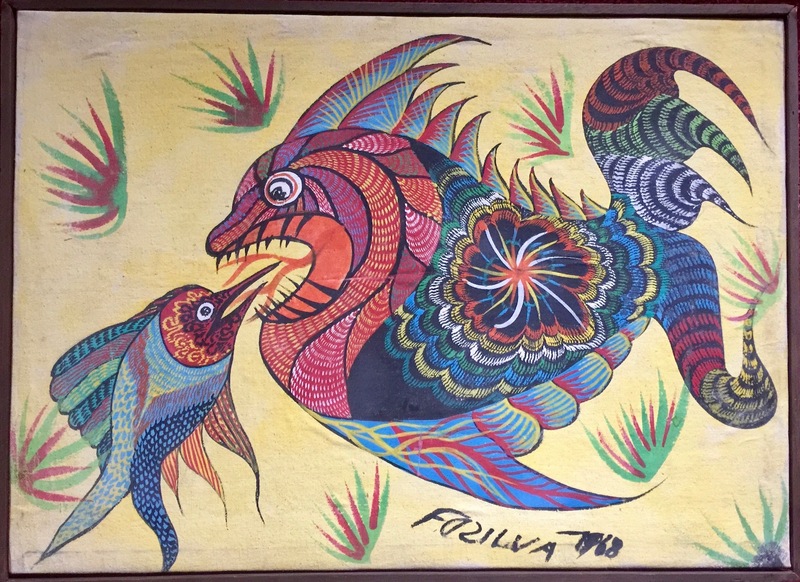 The sticker on the backside of this painting is from an exhibition of the painter's work (probably 1980's) at the now defunct Banco Italo da Belga in Rio de Janeiro. The text highlights Chico da Silva's exhibitions in various venues throughout Brazil and several European cities, and his inclusion and honorable mention in the Venice Biennale of 1966. 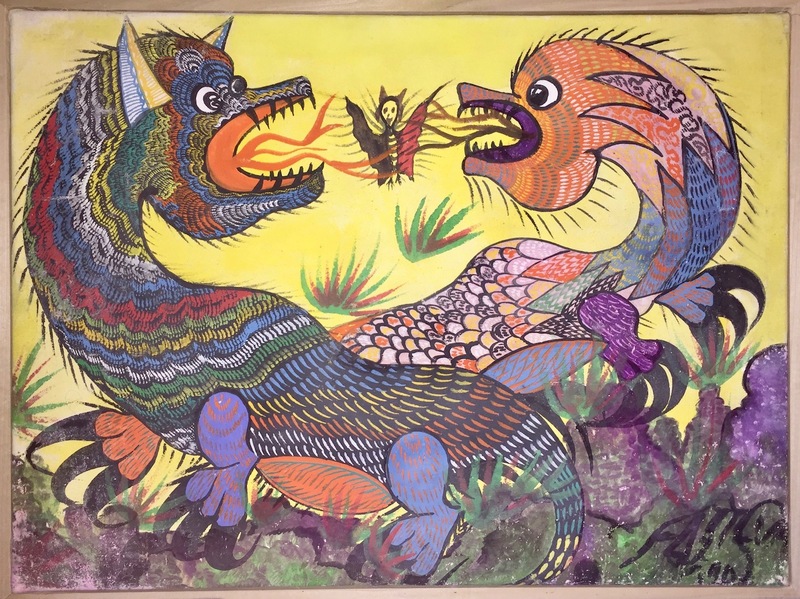 Untitled: Fighting Dragons, gouache on canvas, 197? 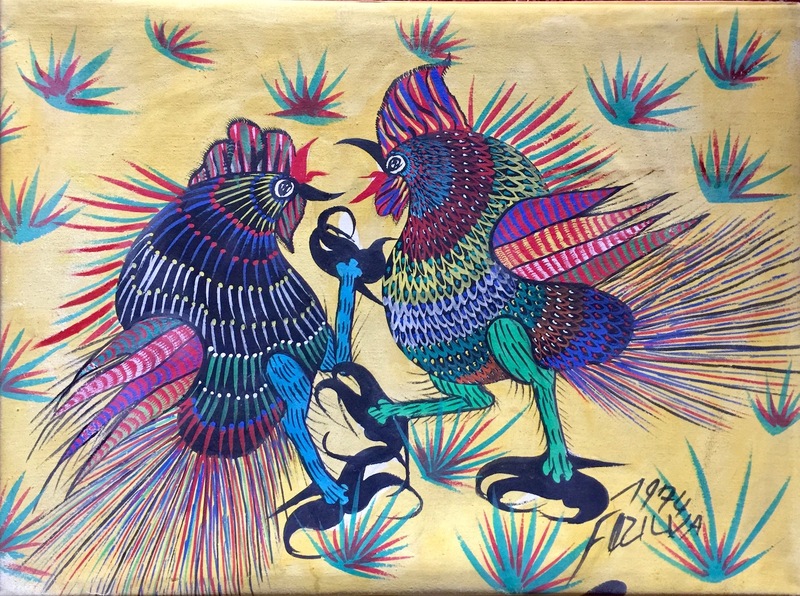 The indigenous painter Francisco Domingos "Chico" da Silva was born in Acre in the Amazon rainforest in 1910. 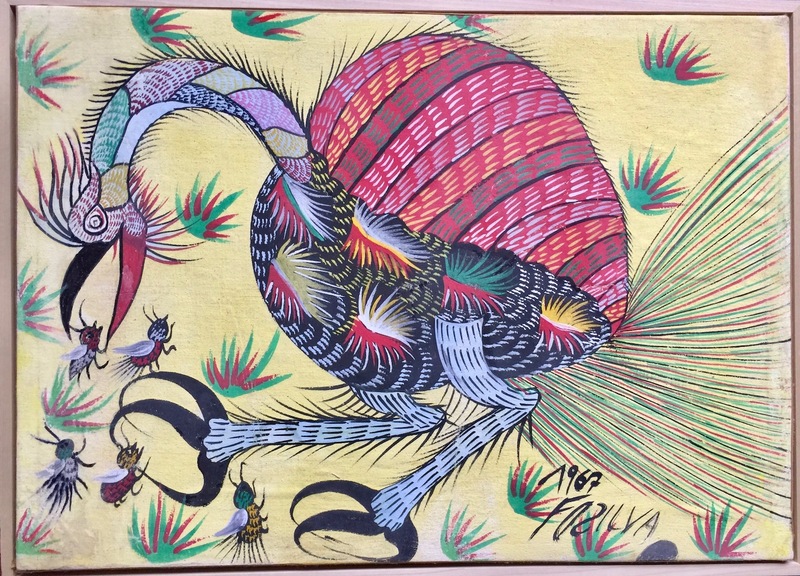 He was one of Brazil’s first self-taught artists ever to become known nationwide and internationally. 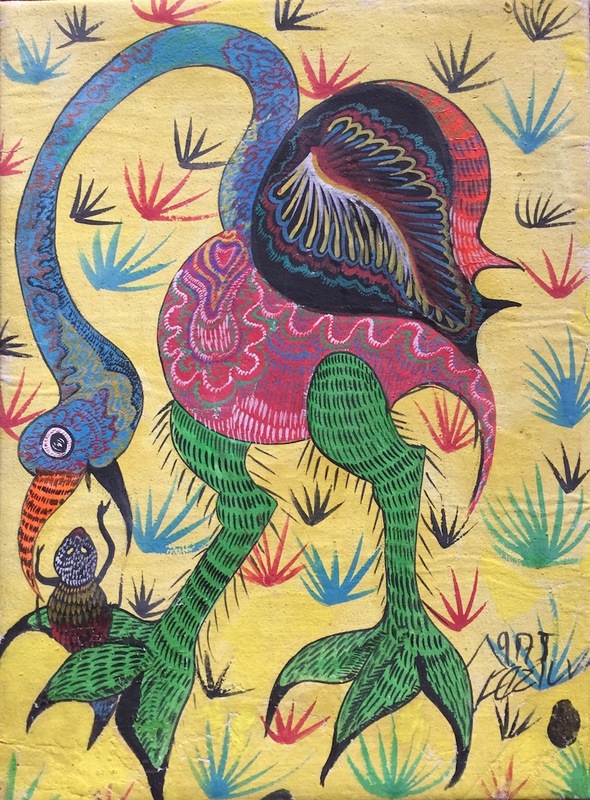 Da Silva spent his early childhood surrounded by tropical birds and other Amazon wildlife – themes which would resurface in his works for the rest of his creative life. While still a child he moved to the northeastern state of Ceará. Uneducated, he supported himself doings odd jobs and worked as a handyman and house painter in Ceará’s capital city, Fortaleza, in the 1930’s. 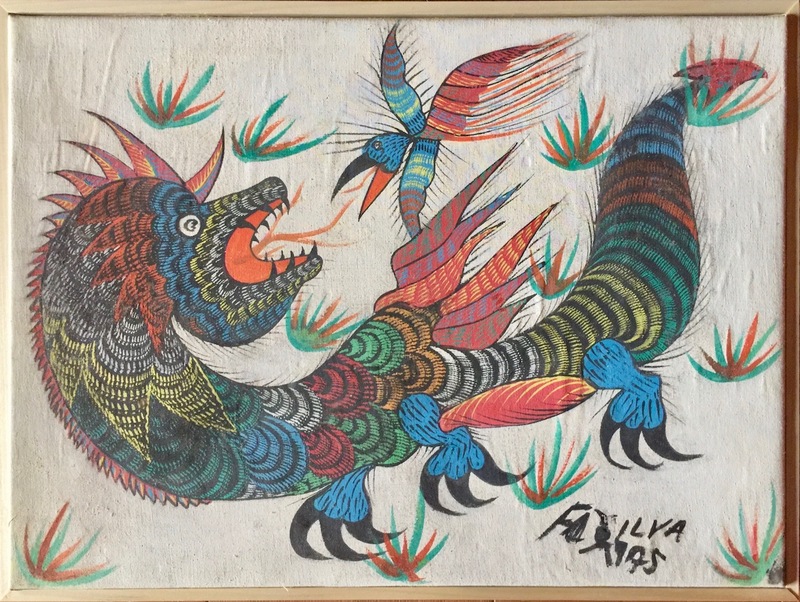 He spent his spare time in a community of local fishermen where he began to depict exotic birds, fish and dragons, first using only found materials. 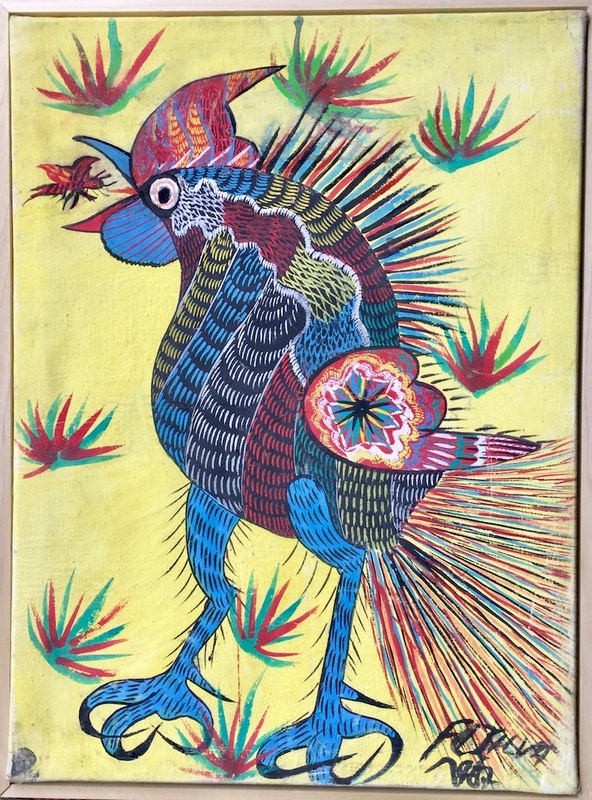 In the early 1940’s he was “discovered” by Swiss painter and art critic Jean Pierre Chabloz who introduced him to gouache and other artist materials. Soon afterwards his works were exhibited in Europe, and throughout Brazil, for the first time. 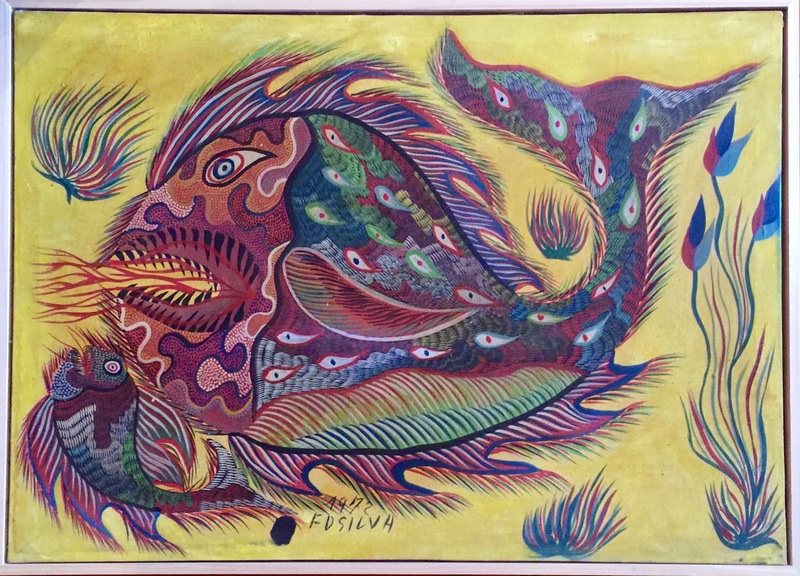 Decades later, after numerous national and international exhibitions and awards, da Silva was included in the first Latin American Biennial. He died in Fortaleza in 1985.